Morgan O’Hara (b. 1941) was born in Los Angeles and grew up in post-war Japan. Since 2010 she lives in New York and works internationally. 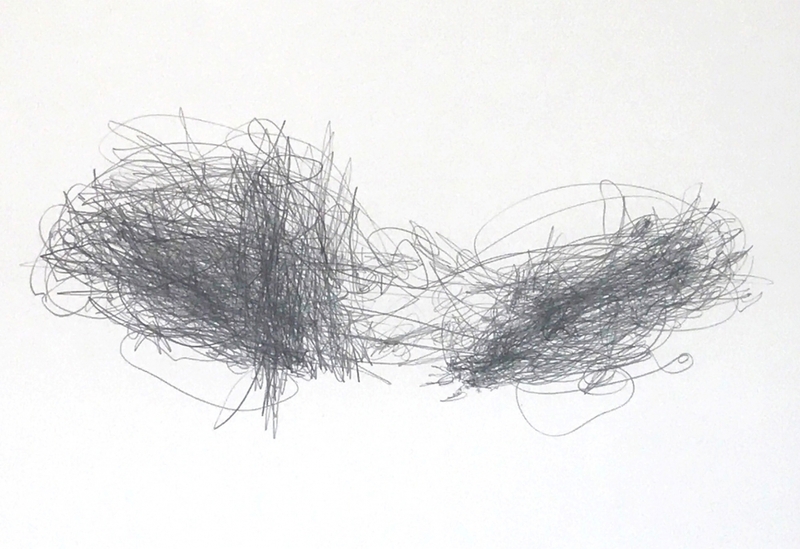 Her LIVE TRANSMISSION drawing practice tracks the movement of peoples’ hands as they engage in life activities – in real time – with multiple pencils and both hands. Following closely the intensity of each segment of an activity, the direction of the line as well as the quality of its intensity is transmitted. If a person makes a gentle movement, a delicate line is drawn. If the action followed is forceful or violent, a correspondingly vigorous line is made. This is done simultaneously and as much as possible without “thinking.” The dialectic between observer and participant, control versus relaxed participation coalesce to form the conceptual base for LIVE TRANSMISSIONS. O’Hara has drawn / performed LIVE TRANSMISSIONS on five continents, since 1989 participating in international performance art festivals in Asia, Europe and the US. More recent project HANDWRITING THE CONSTITUTION is a social art practice that O’Hara started in January 2017. It is a process by which people come together for a specific time period to handwrite the Constitution. This practice encourages a quiet, introspective process, a form of activism for introverts. As people copy out texts which guarantee freedom and human rights, a strong sense of community is silently created.